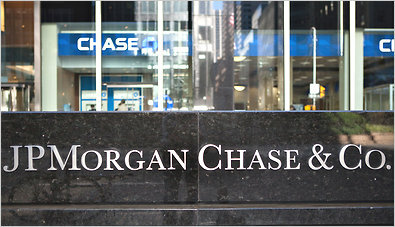 JPMorgan & Co. has reached a $13 billion settlement with the United States Department of Justice settling claims over the banks involvement with mortgage-backed securities during the U.S. housing crisis. This has become the largest settlement reached between the U.S. government and a corporation. The record was previously held by massive oil tycoon BP when they were slapped with a $4 billion penalty for the massive offshore oil spill that shook that nation in 2010. On Tuesday, the settlement announced requires JPMorgan to pay $9 billion up front in cash and the other $4 billion must be provided in the form of consumer reliefs. These reliefs include principal reductions and mortgage modifications for thousands of homeowners who are facing foreclosures because of the bank’s actions. The rest of the $4 billion will also go towards helping reduce mortgage interest rates, originating new loans and helping properties in cities like Detroit that were hit the hardest during the crisis. JPMorgan has not admitted to any violation of law, but has acknowledged the statement of facts that have been produced throughout the case. JPMorgan has promised that by the year 2017 they will have delivered complete relief that has been promised to the borrowers involved. This deal comes after JPMorgan has been under fire since the 2006-2007 mortgage crisis first hit. The bank has been under investigation for claiming to sell low mortgage-backed securities to investors who had no idea that these securities often came with faulty mortgage products. When a call was placed to JPMorgan Chief Financial Officer, Marianne Lake, she said that around 80 percent of the bad loans, which have become the center for the fines, were credited to Bear Stearns and Washington Mutual. With this settlement, it settles and concludes all claims and civil enforcement investigations with JPMorgan and the Department of Justice and the state attorney generals from California, Delaware, Illinois, Massachusetts and New York. It will also resolve all civil litigation claims made by the Federal Deposit Insurance Corp., Federal Housing Finance Agency and National Credit Union Association in relation to the security of mortgage loans by JPMorgan Chase & Co., Bear Stearns and Washington Mutual.